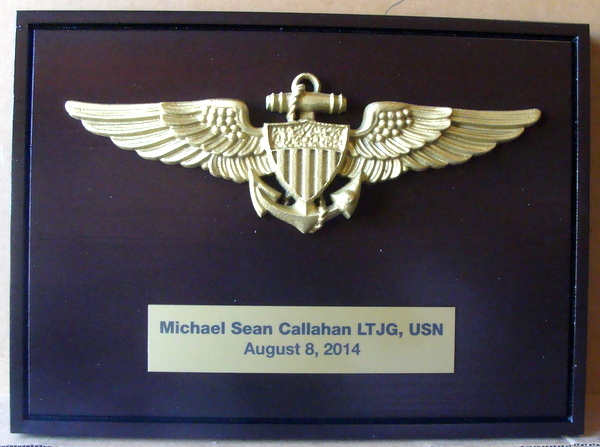 Shown above is a photo of a wood wall plaque for a US Navy Flight Officer. It features a brass-coated 3D carved High-Density-Urethane wall plaque of the Wings and Anchors Flight Officer Badge for the US Navy. The wood plaque is 24 inches wide and also has an engraved brass tag with inscription.